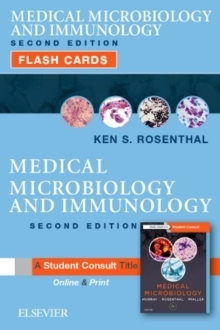 Completely revised to correlate to Murray's Medical Microbiology, 8th Edition, these beautifully illustrated, clinically focused flash cards by Ken S.
Rosenthal, PhD, cover the essential microbiology, immunology, and infectious diseases concepts you need to know for course exams and the USMLE Step 1. Perfect for individual or group study, they're ideal for quickly mastering must-know information in this challenging field. 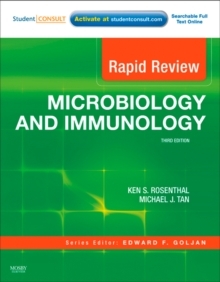 Reviews each microbial organism's special features, the diseases it can cause, and the available treatment options. 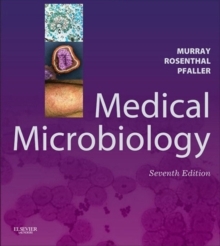 Emphasizes the clinical relevance of microbiology, and provides sample case studies on most cards. Presents USMLE-style study questions for extra exam preparation assistance. 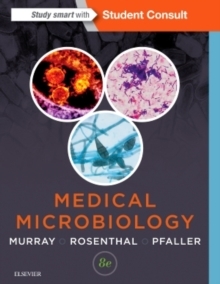 Offers outstanding full-color artwork and authoritative content derived from the 6th Edition of the best-selling Medical Microbiology text by Murray, Pfaller, and Rosenthal. Includes Student Consult online access to an interactive version of the flash cards!Completely revised to correlate to Murray's Medical Microbiology, 8th Edition.